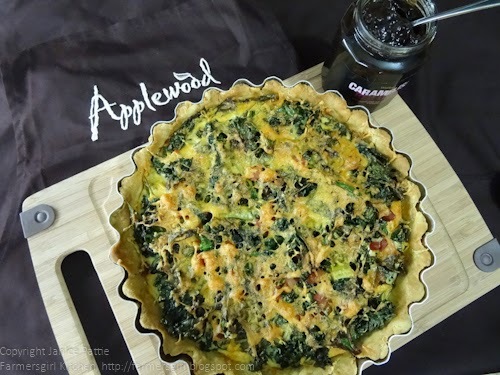 I'm taking part in the Applewood Spreadable Blogger Challenge and this Kale and Pumpkin Tart is the first of three recipes I will be sharing with you using Applewood Spreadable. In case you’re not aware, Applewood is a smoke flavoured British cheese hailing from Ilchester, Somerset and is a best seller, loved by many around the world and boasting 80% of the smoked cheese market. It was first created in 1965 and its unique smoky flavour, smooth and creamy texture and finishing flourish of sprinkled paprika, sets this hand-turned farmhouse Cheddar apart from other cheeses. The new spreadable product is the latest, exciting new product from Applewood to join the existing range. This versatile new spreadable is an ideal cheese for today’s modern lifestyle – you can spread some over bread, stir into a variety of recipes and share with friends by dunking into various snacks. 1. Make the flan case according to the instructions on the Frequently Used Recipes page. 2. 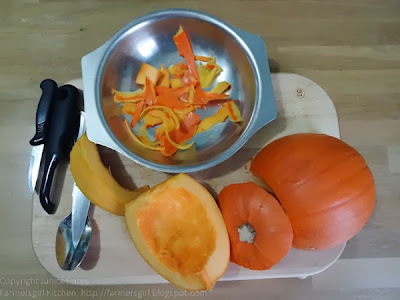 Cut the pumpkin into even sized chunks add, mix with 3 tbsp oil and roast for about 30-40 minutes until tinged with brown and tender, leave to cool. 3. 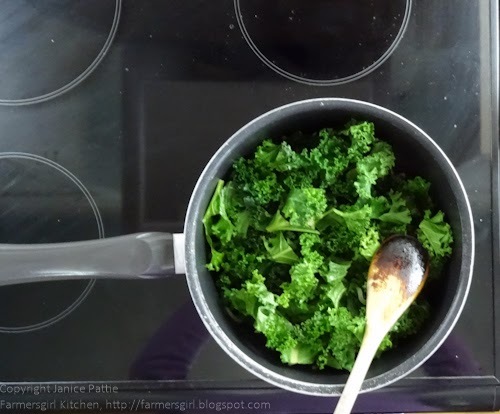 Heat 1 tbsp oil and 30g butter, gently fry the onions and garlic until soft and translucent, add the kale and stir for 3-4 minutes until it starts to soften, set aside to cool. 4. 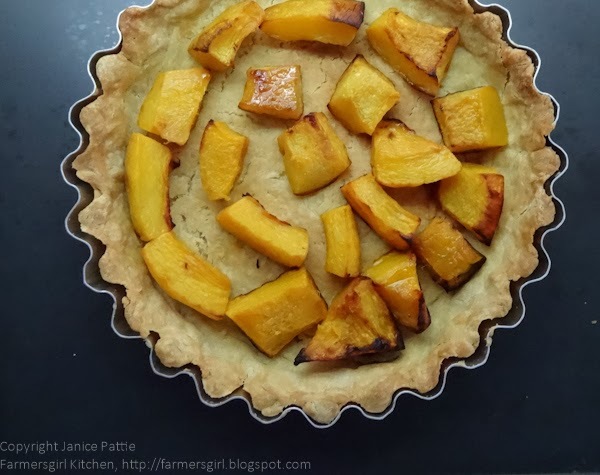 Place the pumpkin into the pastry case. 6. 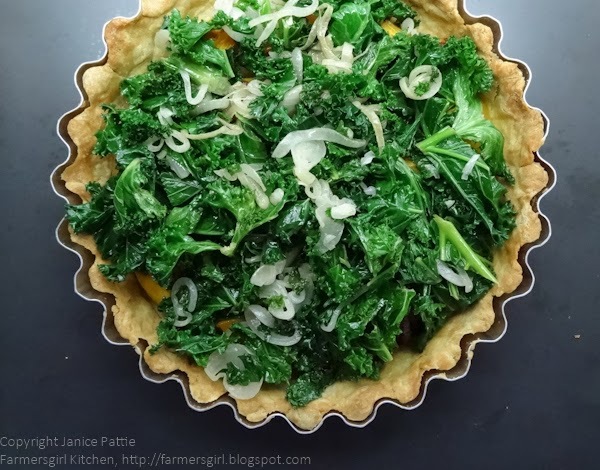 Top with the kale and onion mix. 5. 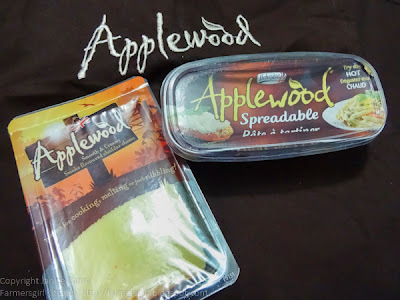 Mix together the Applewood Spreadable with a little cream to slacken it off, then add the rest of the cream. Add the the eggs and beat into the cream mixture, season to taste and pour over the kale and pumpkin. Top with the grated cheese. 6. 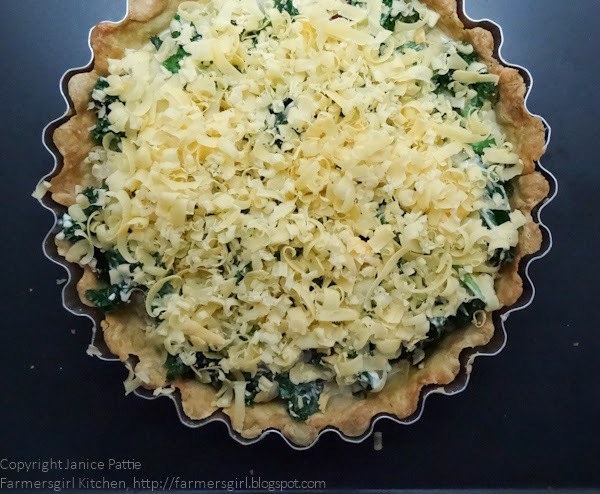 Bake at 160C for 40 minutes until the egg is set and the cheese is golden and crispy. 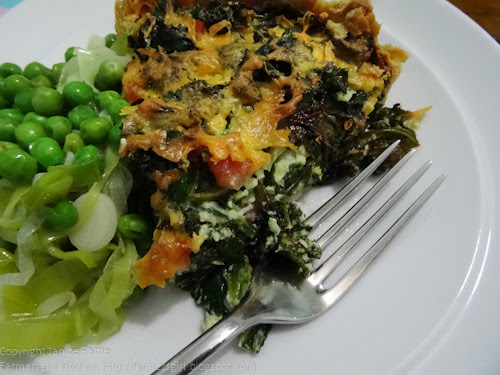 Serve with leeks and peas cooked gently in butter and a little stock. The soft sweet pumpkin went well with the texture of the kale and the smoky cheese flavour of the the Applewood Spreadable was the perfect compliment to both of them. Although most of the ingredients in this tart are vegetarian, the Applewood Spreadable is NOT, so I would suggest that if you don't eat animal products, you choose to use Applewood Smoked Cheddar to get the smoky flavour in the tart. Not a massive fan if smoked cheese but this really does look delicious. Do packed with freshness. 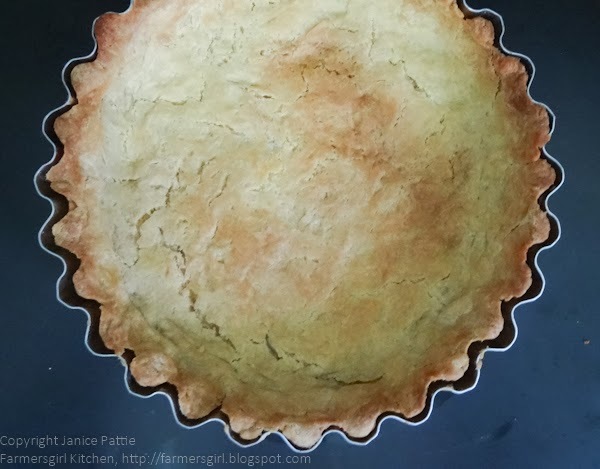 Lovely golden crust too. Mary Berry would be proud! I love smoked applewood, but had to skip the spreadable unfortunately. Could definitely grate some of the block od cheese in though. Looks divine Janice. My mouth is watering! Great recipe for the challenge �� I've posted mine but new/ alternative recipes keep popping into my mind!